This middle school research report provides information about tornadoes. A tornado is a powerful, twisting windstorm and is one of the most deadly weather conditions known to man. The U.S. is hit by more tornadoes than anywhere else on the planet, usually during the spring and summer. On average, 800 tornadoes strike every year in this country, killing 80 people and injuring another 1,500. The greatest killer tornado ever roared through Missouri, Ilinois, and Indiana on March 18, 1925 and killed 689 people. Its path measured about 220 miles long and up to a mile wide. The storm traveled at about 60 miles per hour. Tornadoes are formed out of extremely violent thunderstorms. These violent storms are created when two air masses collide. Isolated thunderstorms that make tornadoes are called tornadic storms. If the storm is big enough and if the air is turning below, a tornado might be formed. Tornadoes rarely live for long. The average tornado lasts about seven minutes. Tornadoes are energy, and if the energy dissipates, the tornado will die. Once the funnel can’t reach the ground, the tornado can’t collect water vapor, and it fades away. The air inside a tornado is still and calm. An eyewitness under a tornado said the bottom of the funnel made a hissing sound. The rotation of the funnel is so fast that it can create it’s own electricity. The core of the tornado is surrounded by air that is spiraling upward. A tornado is measured on a Fujita-Pearson scale. (F is short for fujita.) An F-0 is the weakest tornado with winds up to 40-72 mph. An F-1 has winds up to 73-112 mph, and it causes moderate damage. An F-2 has winds up to 113-157 mph and causes considerable damage. An F-3 causes severe damage and has 157-206 mph winds. An F-4 has winds up to 207-260 mph and causes devastating damage. An F-5, nicknamed the “Finger of God,” causes incredible damage and has 261-318 (or more) mph winds. People should know some things about tornado safety in case one strikes. You should have an emergency storage area in your home that will last about three days. For each person, there should be a blanket or sleeping bag, a change of clothes, three gallons of water in air-tight containers, and dry or canned food. People should replace these supplies every three months. Also have a first-aid kit. If outside or at a place of business during a tornado, don’t try to get home. Instead, find the nearest shelter. A storm cellar is best, but a basement is also pretty safe. If there’s no cellar or basement, people should lie flat under a bed or table away from windows. If outside, lie face down in a ditch if possible. Scientists believe one of the worst tornado disasters was on December 28, 1879. A mail train departed for Edinburgh carrying 75-90 passemgers. It reached a bridge. The weather was stormy with gale force winds and heavy rain. When the train was halfway across the bridge, 13 spans collapsed and the train fell into the river with no survivors. Even with the winds, the bridge should not have collapsed. Scientists believe the bridge was simultaneously struck by two tornadoes. People should be very cautious when tornado warnings are issued. If care is not taken, tornadoes can cause serious injury or even death. 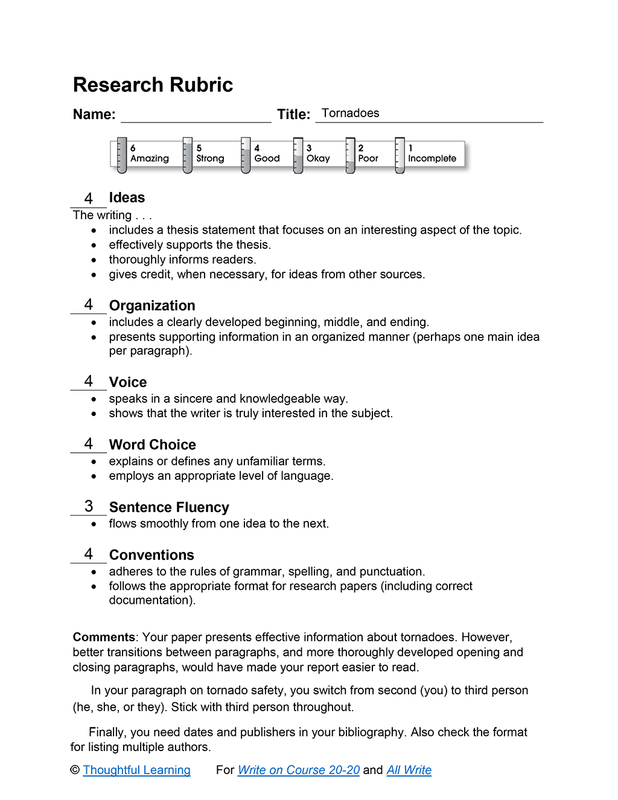 Tornadoes by Thoughtful Learning is licensed under a Creative Commons Attribution-NonCommercial-ShareAlike 4.0 International License. Based on a work at k12.thoughtfullearning.com/assessmentmodels/tornadoes.